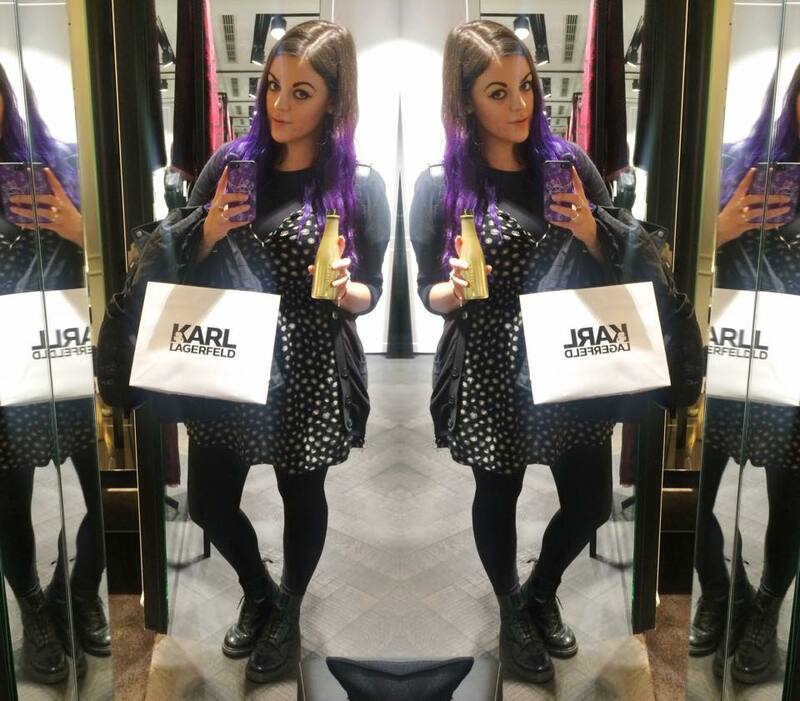 Last week as part of Regent Street Fashion and Design Month I attended a FW15 collection presentation at the Karl Lagerfeld store on Regent Street with Lissa (Girl At The Rock Show), Lauren (Saharasplash), my Canadian friend Lizzy and another blogger called Caz (Style Lingua) who I hadn’t met before and is absolutely lovely! In case you weren’t aware, Karl Lagerfeld is the creative director for Chanel. His look and style is iconic and the concept behind the self titled stores is to create Karl’s signature look. 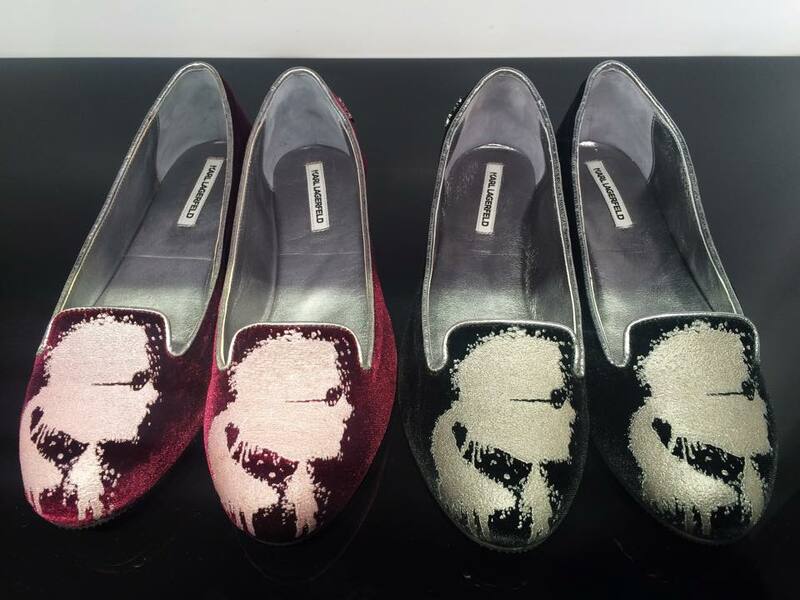 The basis of which relies on the use of monochrome and the shop logo – which is a silhouette of his profile (shown on the shoes below) and is adapted to be the print on a lot of items, both male and female. Most of the collections have leather detailing, such as appliqué, collars or patches, which is “Karl’s DNA”, apparently “leather is the new denim” and you can really see this communicated in the items in this season’s collection. People want Karl’s recogniseable style, with many of the shops male customers initially visiting for the “Karl shirt” £95 (which is adapted ever so slightly every season) and then stay for the wonderfully distracting statement items in both the male and female sections – traditional designer styles with unique twists, perfect for dressing up or down dependent on mood. A range that really stood out for me, was Choupette In Love! The story behind it is that Karl’s cat Choupette has a new boyfriend called “Bad Boy”, which I think is pretty adorable. As a lover of all things cute and kooky and cat related, I was really excited by these accessories. The presentation table is the first thing you see when entering the store and is a mixture of black, white, grey, maroon and fuschia pink. Being in a store with fun, novelty cat items, meant that things had to be tried on, with a few pictures taken for good measure. 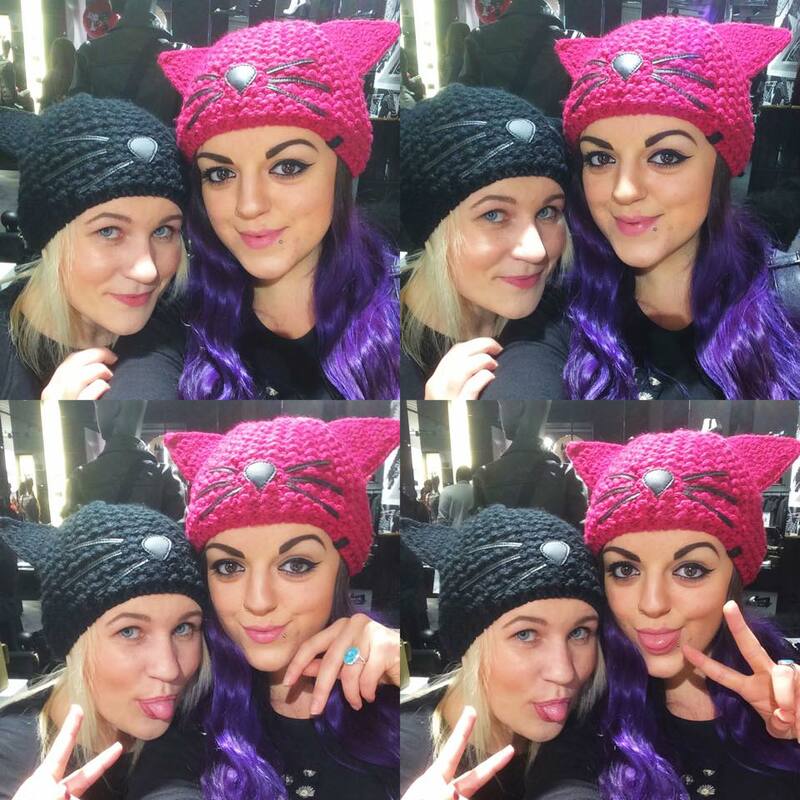 I absolutely love these woolly textured hats (£45) and they come in 3 colours – black, pink and dark grey. The ears and whisker detailing is cute without being too “novelty”, or “in your face”. I think it’s going to be a cold winter, so I am very tempted to treat myself to one of these. 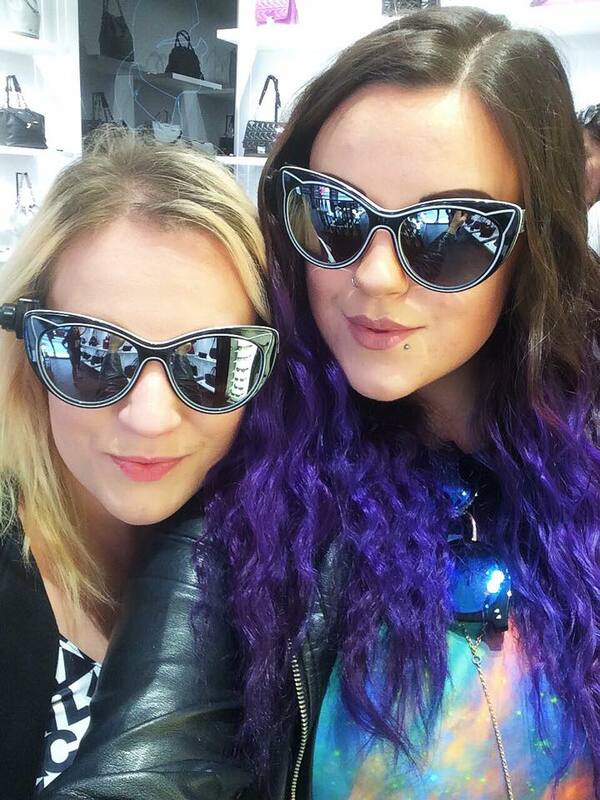 The item I am absolutely in LOVE with however, are these black Sunglasses, with mirror lenses and cat ear design. At £99 they are sadly out of my price range, but that didn’t stop Lissa and I visiting again this weekend to try them on (for a second time) and admire again. The brand has gone from strength to strength thanks to the high quality of the items in store, and reasonable pricing. You would think that due to the relation to Chanel, things would be incredibly expensive – however we were pleasantly surprised. I am sure I heard someone mention that thanks to the success of the Regent Street store (and numerous concessions) UK expansion is in progress! We were very kindly given complimentary champagne and gift bags on arrival. 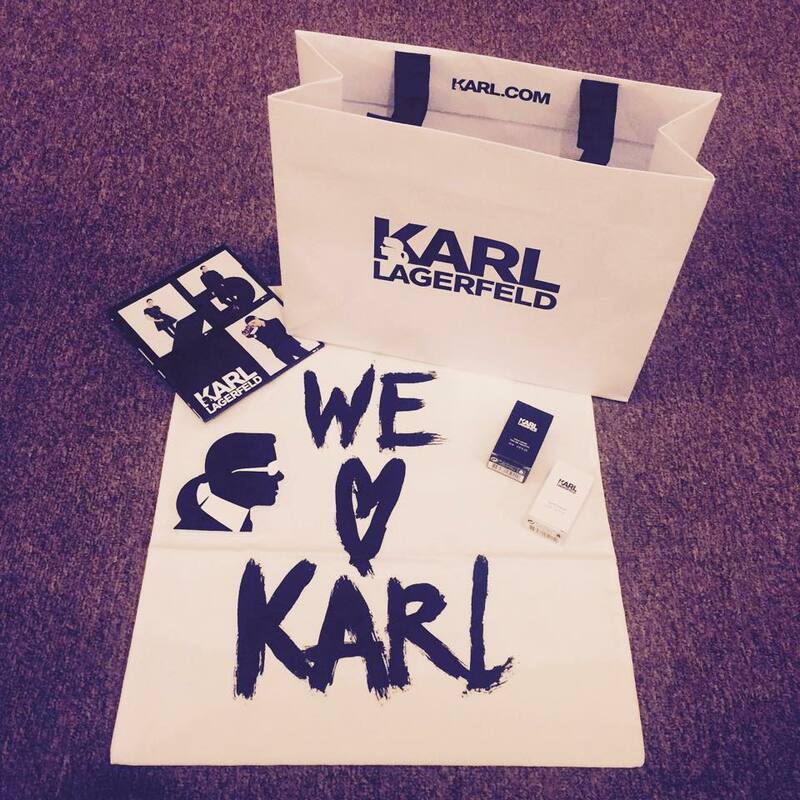 The gift bags contained: a “We <3 Karl” tote bag, two miniature perfumes for Women (£46) and for Men (£42), a Karl logo notepad and a FW15 leaflet! 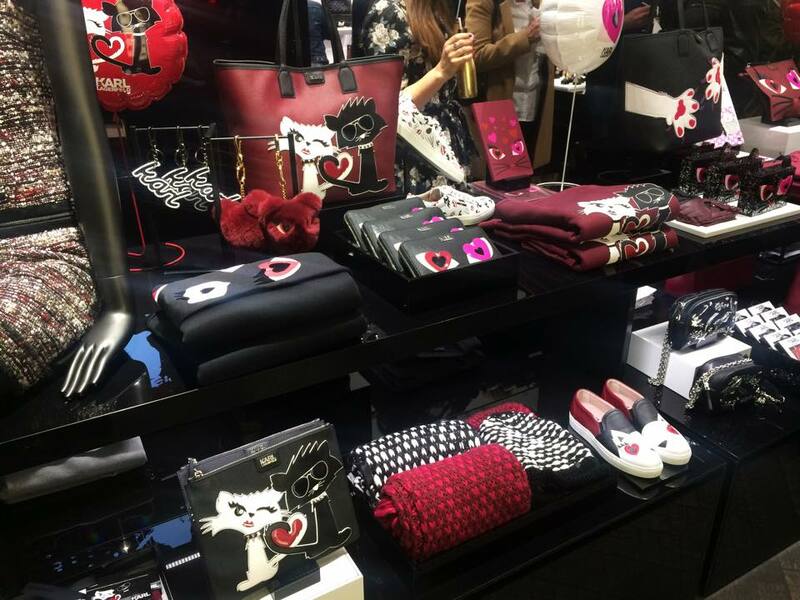 Some of the women’s range (including some Choupette In Love items) are available online at Harrods. It was a great evening and I will definitely be keeping an eye on the Karl Lagerfeld store for their new ranges when I pass by. You too Caz – I am sure our paths will cross again! Oh lord those sunglasses, I so want a pair…wonder if I could get prescription lens put in? Hey Alicia! Thanks so much 🙂 very new to this so it’s lovely to read comments like that! Can we just wear matching everything please? We’re too cute, haha! *Might* have to invest in the hat once it gets nippy… But unsure the pink will go with my wardrobe/when my hair fades to pink… Decisions! I’ll always be lusting after those sunnies though. If yours go missing I can’t be held accountable I’m afraid! 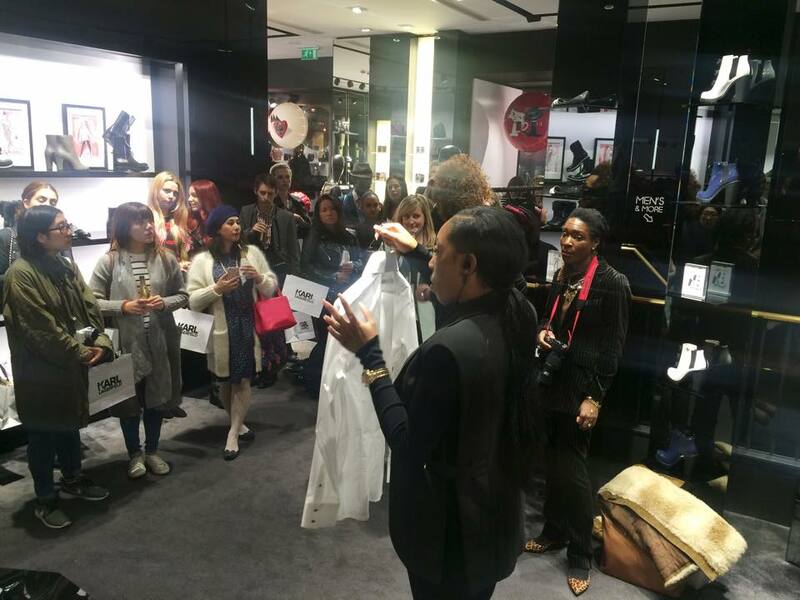 I might also organise some fashion/beauty events in London.